Those of you who are regular readers of Vinegar Tart may (or may not) have noticed that I have been absent for two weeks. Missing in action. AWOL. Gone fishin’. Out to lunch. I’d like to say I have been vacationing somewhere exotic but, sadly, this is not the case. I have, instead, been held hostage at the farm. Well…not actually held hostage but rather so engaged in the farm and the business of farming I have not been able to put pen to paper. Or finger tips to keyboard. In fact, things have been so hectic, if it weren’t for Anne and Hanna weeding the vegetable garden for me it would now be lost in a dense forest of weeds. Revealing the garden under the weeds did, however, produce a very disturbing sight. A sight so frightening it could be considered a sinister plot by a single vegetable to take over the garden…nay, the world. I am, of course, talking about…. 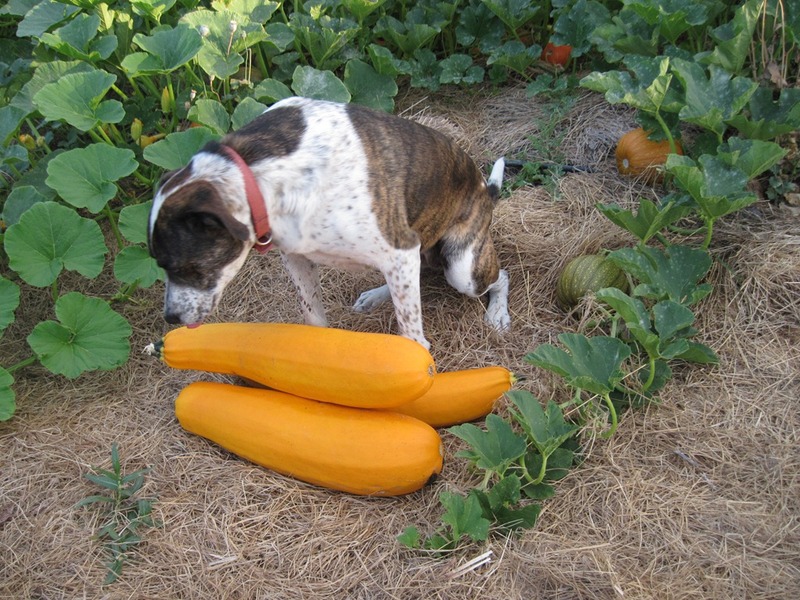 Turn your back on it for a few days and while you are not looking or paying attention the zucchini grows so large and fast it requires two coffee fuelled weaklings to lift…remember…use your legs to lift. 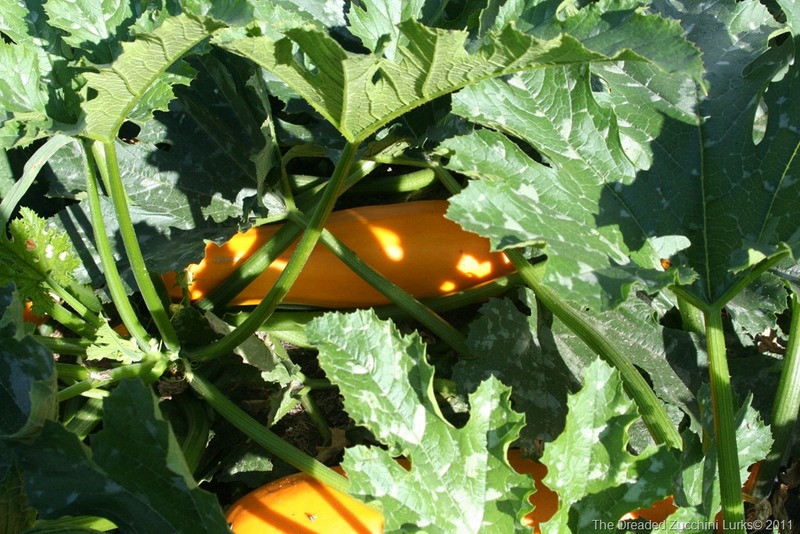 The last thing we need is to be put out of commission by an incorrect zucchini lift. And what to do with this grotesque blimp of zucchini flesh? 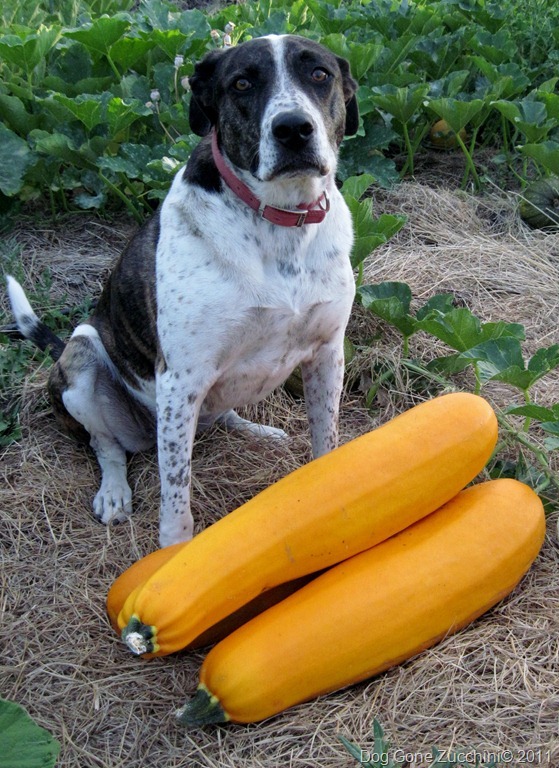 Every year various newspapers and magazines print articles about “using up that garden squash by making a big batch of zucchini bread.” The recipes consider one cup of zucchini to be a large amount. ONE CUP! Get real! What I need is a recipe that calls for 100 cups of zucchini. A day’s of worth of zucchini guarantees an early departure. Cries of “I think I may have left the iron on.” Or, “I just remembered…I have to go to work.” can be heard as they drive away. 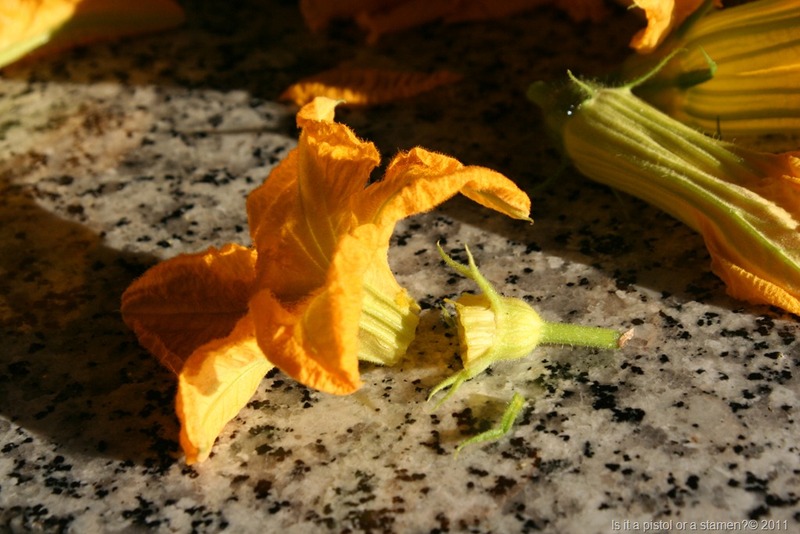 Of course, sleeping on a zucchini mattress with zucchini blossom pillows may have expedited a hasty exit. While I am writing a discourse on the subject of zucchini, just let me say that I am deeply offended when I get the dreaded zucchini as part of a restaurant meal. We can’t give it away here at the farm. Yet, when I eat out there it is, lying quietly on the plate looking vaguely threatening, mocking me. If you have to buy zucchini…if you don’t have someone in your life to give you zucchini, I think you had better review your life. The following recipe is a good way to get rid of zucchini. This recipe stops them before they start. 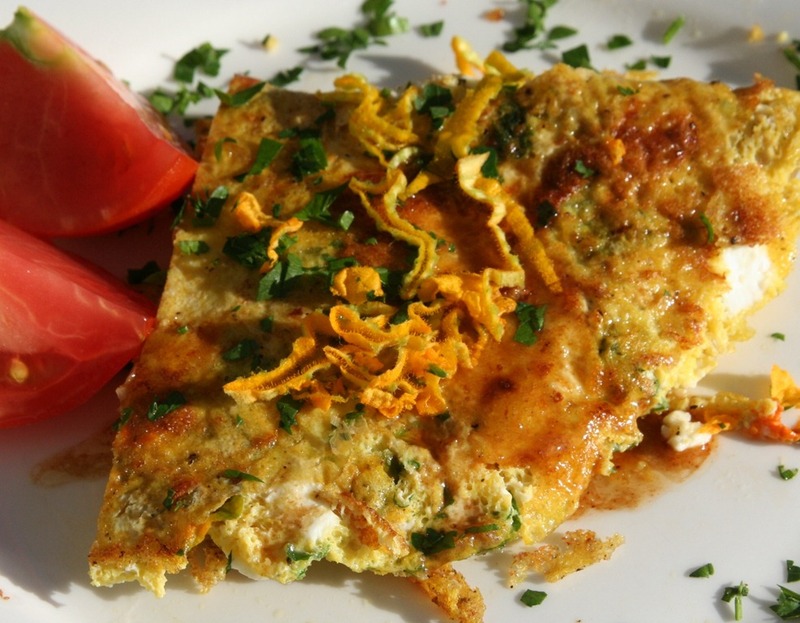 Not just for breakfast, an omelette makes a nice light evening meal with a salad and a glass of wine. 2. Melt 2 teaspoons butter in a 10 inch oven proof saucepan and sauté shallots until soft. Season lightly with salt. Add 1 tablespoon vinegar and let it reduce (this happens very quickly). Add freshly ground pepper. 3. Cut off blossom ends and shake out pistols or stamens. Slice into 1/2 inch strips and add to sautéed shallots. Stir gently until wilted. About 1 minute. 4. Whisk eggs and season with salt and pepper. Add 1 tablespoon parsley. Add shallot blossom mixture to eggs. 5. Melt further 2 teaspoons of butter in the same saucepan. Add egg mixture. Shake saucepan back and forth to even out mixture. Gently cook over low heat. Nothing worse than burnt egg protein. When the bottom is cooked but the top still a bit runny, sprinkle feta cheese on one half. Put omelette in oven to finish cooking – about 5 minutes give or take. 6. Using a spatula, gently run it around and under the omelette to loosen. Fold omelette in half; cut in two and plate. In the same saucepan melt remaining 1 tablespoon of butter. Add remaining 1 tablespoon of white balsamic vinegar. Remove from heat and pour on plated omelette. 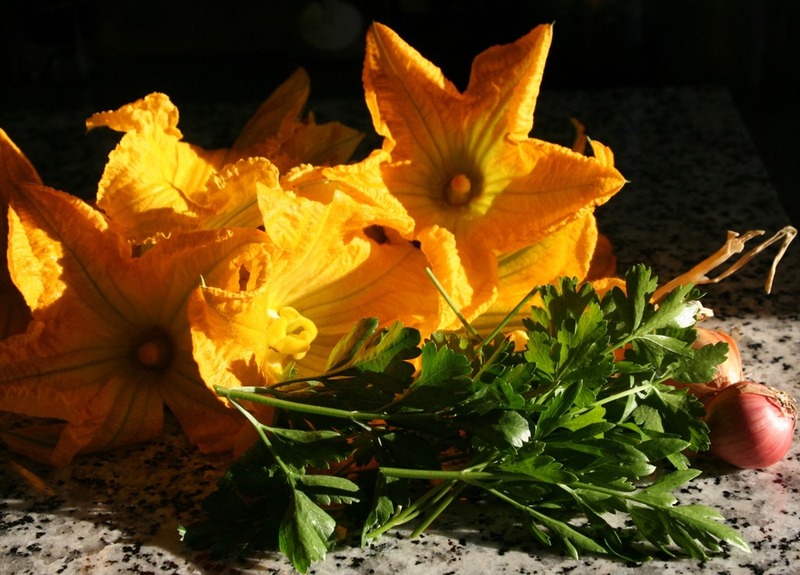 Finish with remaining parsley and finely sliced squash blossom. WOW! 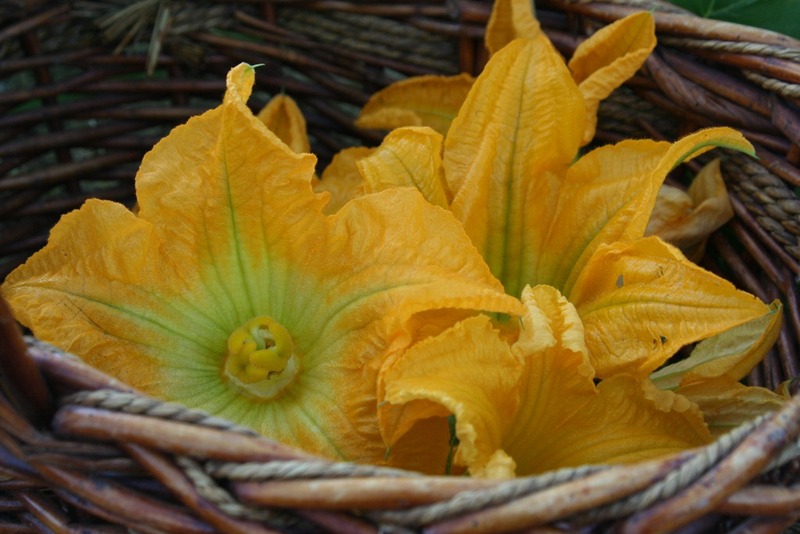 I am always trying new squash blossom recipes and look forward to making this omelet. 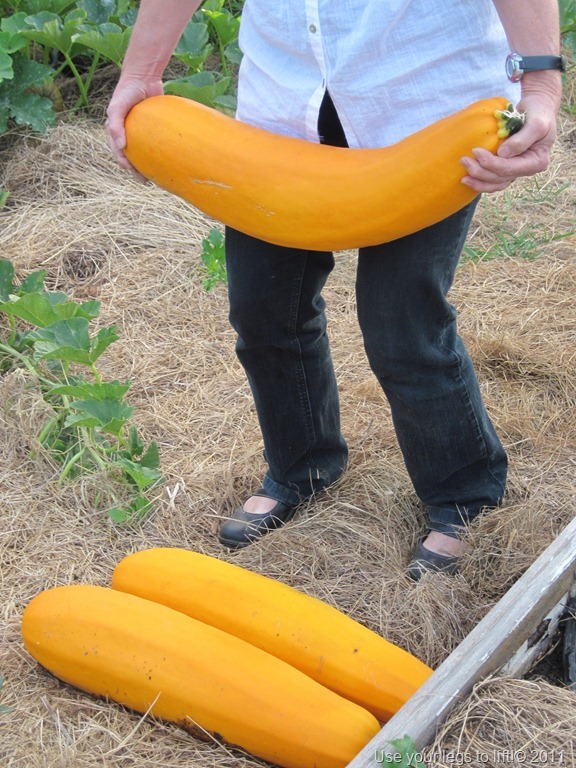 I had just the opposite problem with my zucchini this year. you could always hollow them out and make a canoe. You always come up with something new. I have never heard of blossoms being used to cook with. You are too funny! Very enjoyable read. Worth waiting two weeks for. Yes, we should be rolling out the zucchini car in the new year!